Bike Silver Bay, there is still time to make some outdoor memories with fall color season soon approaching. With your two-wheel stud, make your way into northeastern Minnesota Arrowhead region and soon you will find yourself enjoying the fall colors on the North Shore. While here you can spend all the time in the world at its various parks, like Splitrock Lighthouse or Tettegouche State Park or while enjoying the Gitchi-Gami State Trail. Family fun riding along the Gitchi Gami Trail with Lake Superior at your side. It has plenty of areas for the mountain bike too. to explore and has the Superior Hiking Trail runs through, so make sure you’re ready for plenty of Instagram worthy selfie opportunities. There’s even room for hiking the Superior Hiking Trail, that runs through the area. See the HaveFunBiking Silver Bay Map from the Minnesota Bike/Hike Guide, for more details. 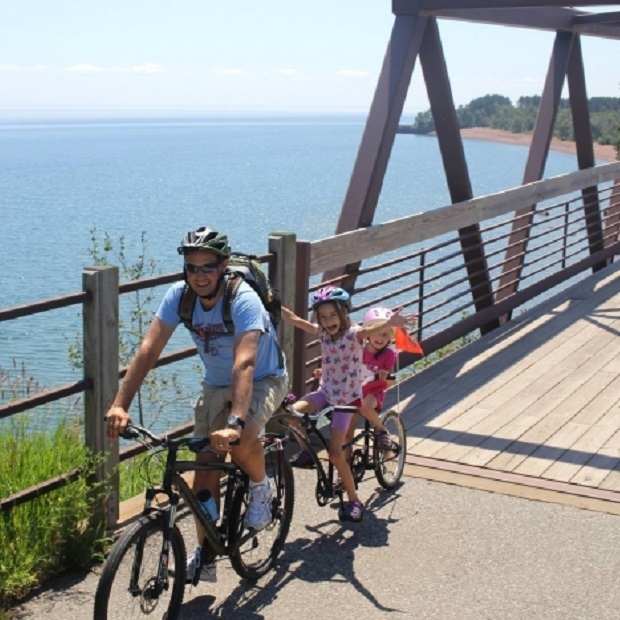 Resting along the shore of the beloved Lake Superior, get a great view of the lake as you explore the area with your bike or on foot. The chances to enjoy nature are many, but sometimes you need a break. So when it comes time to take-five indoors you’re in luck. There are plenty of shops to browse and diners to replenish the calories you’ve burned out on the trail. If you’re looking for an artistic experience, the Lake Superior Community Theater always has a production ready for your enjoyment. There’s nothing better than riding your bike and enjoying the fresh air with a breeze of the lake. The Silver Bay area has plenty of trails and loops ready for you. You’ll have plenty of scenic views and fun challenges mountain biking here. The northeastern tip borders Lake Superior. And if you’re looking for a scenic adventure through some of Northern Minnesota’s finest nature trails. Mountain bikers can use the 1.5-mile road that also doubles as the service road into the Tettegouche camp. Bikers can also use the 6.5 miles of ATV trails located in and outside the park. The fat bike trails loops in Split Rock Lighthouse State are fun. The park trails here offer a connection to the 10 miles from the park up to Silver Bay on the Gitchi-Gami State Trail. 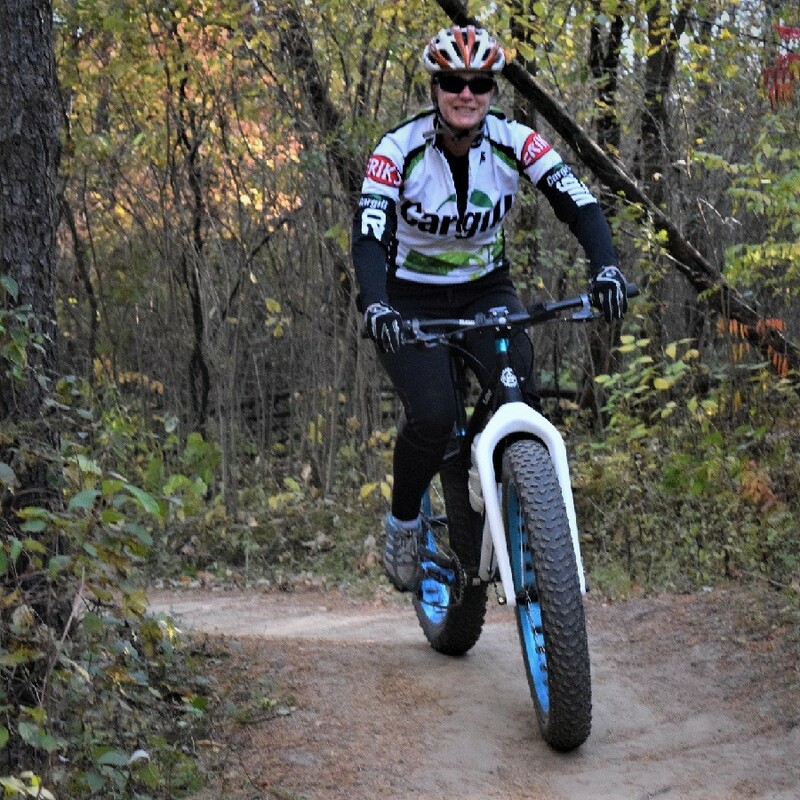 For the mountain bikers, there are also plenty of trails such as the Merrill Lodging Trail and the Day Hill Trail for bikers to enjoy. 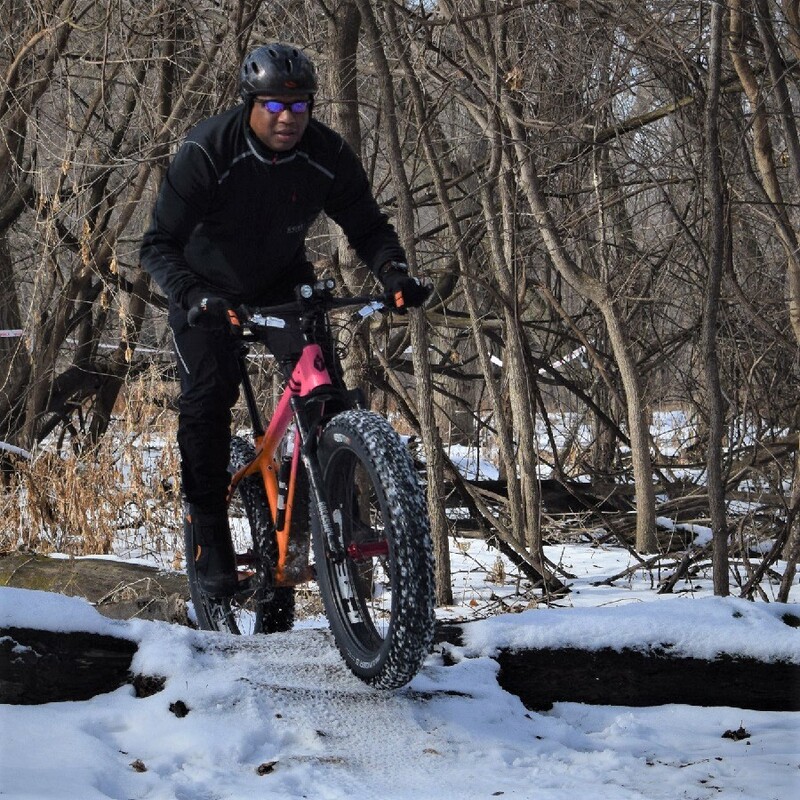 They can also use the Corundum Mine Trail and there are trails for fat bikers as well. About 15 miles south on the Gitchi-Gami State Trail beautiful Gooseberry Falls State Park offers several opportunities for bikers to hit the trails. Mountain bikers will have plenty of trails to travel, and many areas connect to each other providing several loop opportunities. Riding along Lake Superior on the Gitchi Gami Trail. 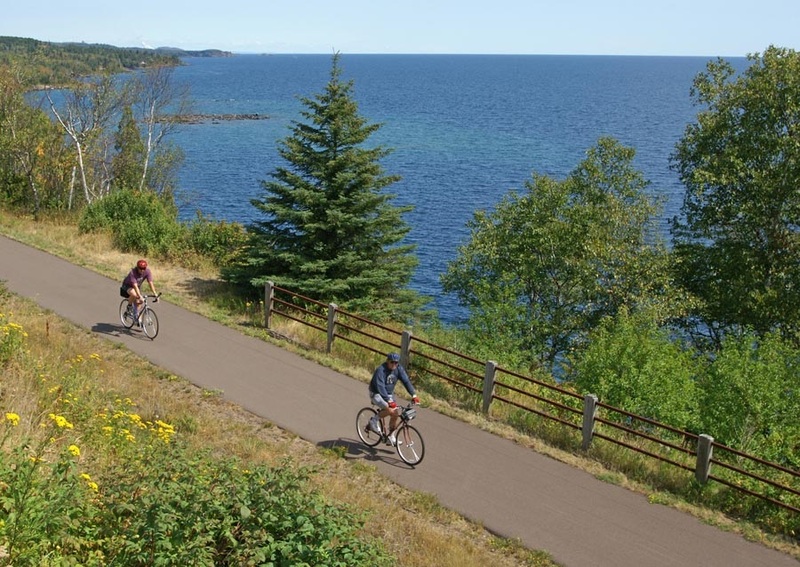 This trail starts in Two Harbors and travels all the way to Grand Marais. While parts of the trail are under construction, or yet to be started, much of it follows the coast of Lake Superior. You’ll get to travel through Gooseberry Falls State Park, Split Rock Lighthouse State Park, Tettegouche State Park, and more. If you’re looking for than winding paths and hills out of your bike adventure, give these more challenging trails a try. The North Star State Trail takes you from Duluth all the way through town and up to Grand Marais. Then there’s the Moose Walk Trail that takes you along the Sawtooth Mountains. It also connects to the Red Dot Trail, which takes you on a hilly ride through countless spruce pine. At the Heart of the Northshore, you will find everything you need for a couple night stay or a long vacation in northern Minnesota. Located an “incredibly scenic” hour north of Duluth, Minnesota, come and experience the great outdoors with nature activities, fun family attractions, area tours, scenic state parks, hiking and biking trails and more. Stay in luxurious accommodations at one of our resorts, cabins or hotels where you will find comfortable, affordable lodging for every budget. See the waves and observe the ships on Lake Superior, smell the forests, watch the birds and wildlife or enjoy the Superior Hiking Trail. Bike Silver Bay is an experience you will not soon forget! 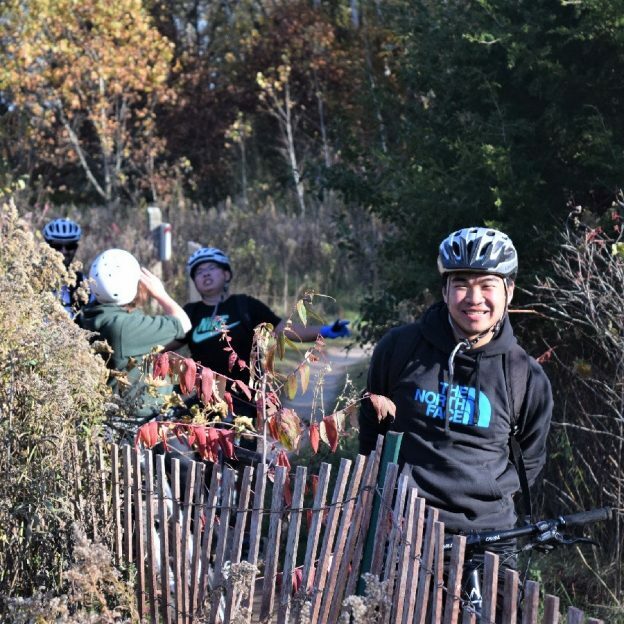 This entry was posted in Destinations, News and tagged fall colors, fat biking, Gitchi Gami State Trail, Gooseberry Falls State Park, Heart of the Northshore, Lake Superior, Mountain Biking, North Star State Trail, Split Rock Lighthouse State Park, Tettegouche State Park, trail riding on September 28, 2018 by Russ Lowthian.